Dr. Conklin completed his undergraduate work at the University of Iowa with a bachelor of science degree in journalism. He obtained his MD degree at the University of Iowa where he was elected to the Alpha Omega Alpha Honor Medical Society. He completed internal medicine and gastroenterology training at the University of Iowa. During his training he coauthored seminal papers exploring the physiological mechanisms controlling esophageal and colonic motor function. He then went to the University of Massachusetts Medical School where he completed a postdoctoral fellowship and became an instructor in the Department of Physiology and Biophysics. While at the University of Massachusetts he studied physiological and pharmacological control of gastrointestinal smooth muscle. Dr. Conklin then returned to the division of gastroenterology and hepatology at the University of Iowa where he became professor of medicine. While at the University of Iowa, he undertook ground breaking studies demonstrating nitric oxide is the neurotransmitter that controls relaxation of the lower esophageal sphincter and peristalsis in the smooth muscle esophagus. That work explored the biophysical and biochemical mechanisms by which nitric oxide has its effects. His studies in humans were among the first to support the hypothesis that achalasia results from a loss of esophageal nerves that produce nitric oxide. He was also amongst the first investigators to provide evidence that interstitial cells of Cajal are pacemaker cells that control colonic motor function. He trained a number of investigators who became successful scientists in the US and abroad. After 15 years at the University of Iowa he joined the faculty of the division of gastroenterology and hepatology at the Mayo Clinic, Rochester. During his short stay at the Mayo clinic he became director of the esophageal function lab and continued his study of esophageal motor function. He moved to Los Angeles to become director of the Esophageal Center of Excellence at Cedars Sinai-Medical Center. Besides continuing work exploring esophageal and gastrointestinal motor function, he and his colleagues worked on implantable electrical stimulation devices designed to treat obesity and gastroesophageal reflux disease. These devices are now in clinical use outside the United States. He is now working on new and novel devices for the treatment of these disorders. In his 10 years at Cedars Sinai, he was involved in the UCLA GI Fellowship. He became known as the guy to learn gastrointestinal motor function from, and won three teaching awards. Also, while at Cedars-Sinai he and his colleagues were among the first to adopt, and helped develop a new technology called high-resolution manometry, which is used to evaluate gastrointestinal motor function. He coauthored the first and most widely used book describing the clinical use of this technology. He has trained clinicians from all over the US and abroad in the use of high-resolution manometry. 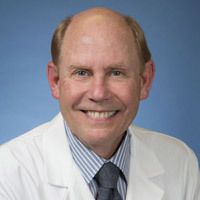 Dr. Conklin recently came to UCLA to direct the Robert G. Kardashian Center for Esophageal Health and Gastrointestinal Motor Function Laboratory. His clinical interests are diseases of the esophagus and testing of gastrointestinal motor function. He is a member of the American Gastroenterological Association, American Neurogastroenterology and Motility Society and is a Fellow of the American College of Gastroenterology. He has been selected to Best Doctors in America, Los Angeles Super Doctors and Consumers Checkbooks Best Doctor.